Americans have never had this much money riding on any game for any sport. Nearly 1 in 10 American adults (22.7 million) will place a bet on Super Bowl 53 with an estimated total of $6 billion to be wagered on the matchup between the New England Patriots and the Los Angeles Rams on Sunday, Feb. 3, 2019. The data comes from a survey released on Monday, Jan. 28, by the American Gaming Association (AGA), a trade group representing the $261 billion casino industry in the United States. Additionally, 52 percent of Super Bowl 53 bettors said they will bet on the Rams while 48 percent said they will wager on the Patriots. Of the bettors who plan to place money on the final NFL game of the season, an estimated $320 million (5.3 percent) will be wagered at sportsbooks in the United States while offshore betting sites will see the majority of the action—taking in roughly $5.7 billion (94.7 percent) for Super Bowl 53. In comparison, Standard & Poor (S&P) estimated the U.S. economy lost at least $6 billion during the recent partial government shutdown, which lasted 35 days (Dec. 22, 2018–Jan. 25, 2019). But if this year’s $6 billion estimate holds true, then the amount wagered on Super Bowl 53 would far surpass last year’s record-breaking total of $4.76 billion that was bet on the Patriots-Eagles matchup in Super Bowl 52. Of the 2018 total, $158.58 million was wagered at sportsbooks in Las Vegas, Nevada while $4.6 billion was bet at offshore betting sites. The roughly $1.24 billion increase from 2018 to 2019 can be partially attributed to the repeal of the Professional and Amateur Sports Protection Act of 1992 (PASPA) by the U.S. Supreme Court on May 14, 2018—declaring that it was unconstitutional to commandeer a state’s right to legalize sports betting, which conflicts with the Tenth Amendment. Since the repeal in May 2018, Delaware, New Jersey, Mississippi, West Virginia, Pennsylvania, and Rhode Island have all launched state-licensed sportsbooks. 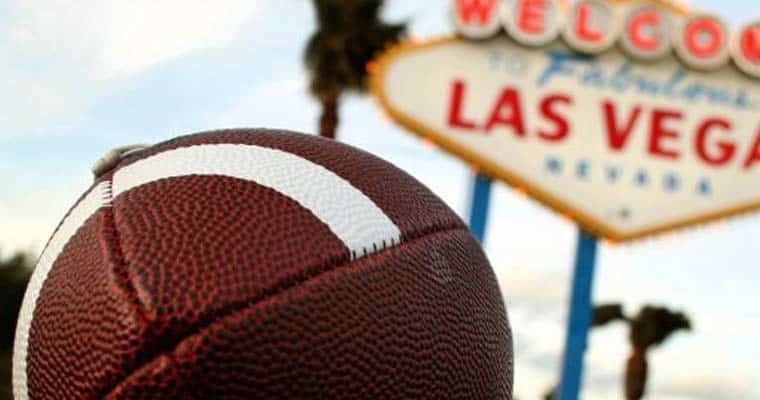 The six states now offering state-licensed sports betting join Nevada, who was previously given full exemption from the 1992 law. Another possible reason for the increase is due to the shifting perception across the country on sports betting and on gambling as a whole. In 2017, a poll conducted by the Washington Post found that 55 percent of Americans approve the legalization of professional sports betting while only 33 percent disapproved—the biggest margin ever recorded and almost a complete flip from the 1993 poll, which saw only 41 percent approve and 56 disapprove. The Super Bowl 53 survey was conducted by Morning Consult on behalf of the AGA on Jan. 22, 2019 and includes a sample size of 2,201 adults with a margin of error of +/- 2 percent and higher for subgroups. All data was gathered from online interviews, and the samples were weighted based on age, race/ethnicity, gender, educational attainment, and region. Bettors for Super Bowl 53 include those who will bet online, with a bookie, with a casino sportsbook, in a pool or squares contest, or casually with a friend. The Super Bowl 53 matchup between the Patriots and Rams is set to kickoff at 6:30 p.m. ET on Sunday, Feb. 3, 2019, and the game will be televised on CBS. Currently, the Patriots are a 2.5-point favorite over the Rams, and the over/under is set between 56.5 total points scored—based on the point spread and totals via BetOnline Sportsbook.